← “a”‘s Question: Should astrologers predict death? And can they? What were you doing when Mars went direct this week? Last Tuesday 20th May 2014, the planet Mars turned direct at 9 degrees of Libra. Did anything of particular interest, correlating with this shift, occur on that day, which any readers would like to share? If so, I’d love you to leave some feedback via a comment on this post. Mars being reasonable – must be in Libra…. I’m very interested in what correlations there are between planets turning retrograde or direct, on particular days at particular degrees of the zodiac, and corresponding inner/outer events in the lives of those of us directly ‘plugged in’ to those degrees. Here is my feedback, which beautifully illustrates how planetary energies reflect both the positive and negative dimensions of our lives, often at the same time. Transiting Mars turned direct – conjunct my natal second house Neptune at 9 degrees of Libra – on Tuesday 20th May. On the one hand, I encountered three inspirational women poets whilst attending a poetry reading with a fourth one. I also bought five poetry books by those three poets! On the other hand, I came down on my return home with a sudden nasty urinary infection and spent the next day lying in bed waiting for the antibiotics to kick in.Then whilst recovering at home the day after that, I wrote two poems, the first I have written for thirty-four years….. Observing the vividness of planetary symbolism accurately reflecting the patterns of our unfolding lives continues to be a source of enduring fascination for me. How about you? This entry was posted in Mars (3 articles), Uncategorized (35 articles) and tagged horoscope, Mars, Mars Direct, Mars Retrograde, Neptune in Libra, zodiac degrees. Bookmark the permalink. I’d be more than happy to report whatever happened on Tuesday, but I’m afraid I don’t remember Tuesday. I know I worked. I know I spent time on the computer. I know I watched the birds in the evening and went to bed. Otherwise? I’m just not sure. So — whatever Mars was up to, it must not have affected me very much! Well, Linda, this is useful feedback since I was hoping someone would respond by saying ‘not much happened’. I would assume from this – not having your horoscope and your not being an astrologer but that very useful person, an interested member of the public with an open mind! 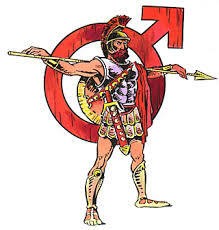 – that you do not have a planet or Angle (eg Ascendant, Midheaven ) at or within a couple of degrees either side of 9 degrees of Libra, which is the point where Mars, planet of fast, sudden, forceful action turned direct after a long period of (apparently) going backwards from the beginning of March 2014. Also affected, to a lesser degree in descending order of importance, would be the point opposite at 9 degrees Aries, or at right angles, ie making square aspects, at 9 degrees Cancer or Capricorn. There might well also be an effect with points in trine aspect – 120 degrees -ie 9 degrees Gemini or Aquarius. And we mustn’t forget the 60 degree or sextile aspect, which would be 9 degrees Leo ( where my planet Mercury is, so I felt the need to WRITE about the poetry and the sudden infection! ), as well as 9 degrees Sagittarius. If you imagine a rippling of Martian energy flowing through those 9 degree points of the zodiac as described, you can get some idea of how this works. 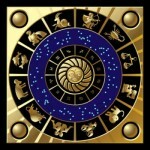 One would not expect people who have no energetic connection showing in their horoscopes to those points, to have anything out of the ordinary run of life occur during the couple of days in question. Hope this makes some sense not only to you, but other interested, open-minded readers with no particular knowledge of astrology! Many thanks for this lively entertaining feedback, Carole! Since you are the fourth poet referred to in this post, I was hoping to hear from you! I also didn’t mention in the post that my decision on Tuesday morning (the day Mars went direct) not only to promote the poetry reading and go along myself, but also to phone you at short notice, was immediate and unplanned action (Mars). And I also forgot to mention (for interested readers with little or no knowledge of astrology) that the sign of Libra is connected to the kidneys and urinary system….I am feeling much better now, thanks. Retreat for a few days was needed, I had known that for a couple of weeks, didn’t listen, went on an enjoyable jaunt to London – and my body pulled the rug from under me, sending me to bed for a couple of days. You’d think I’d have learned that lesson by now. But then, I didn’t pay attention to what the planets were telling me when we planned the trip earlier this year. Sometimes you just have to get on with life – and take the consequences…. Many thanks for this interesting feedback, Jo. As you know, I’m very keen on doing research into the many and varied ways in which planetary energies express themselves. Do keep in touch! many thanks for this feedback – what an appropriate turn of events for that natal, progressed and transiting Venus/Mars dance! Hope you both have a positive outcome from the renewed contact. And I really value your positive comment regarding my astrological writing…..clarity is what I always aim for, so it’s good to know I’m having some success there! Glad to hear that Mars turning direct on your Descendant had this effect. Perhaps because your energy had been pent up and blocked, then was able to flow forward again….